A multi-award-winning distillery situated in the heart of Sweden, Mackmyra has earned a reputation as one of the world's top quality single malt producers - and it's easy to understand why. 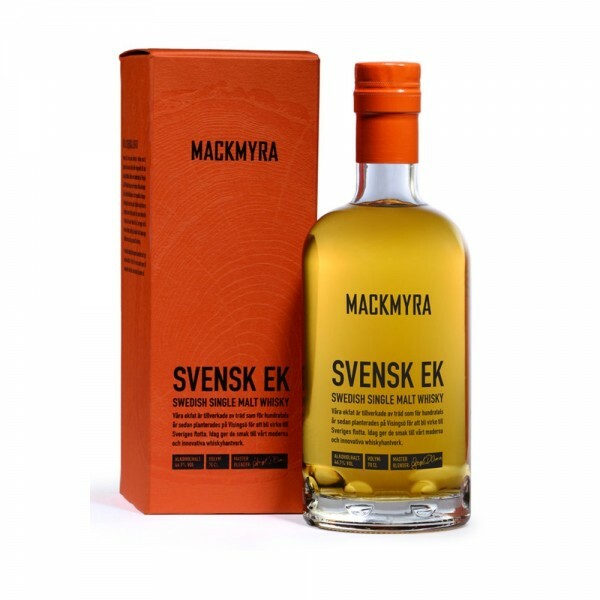 Mackmyra's multi-award winning Svensk Ek whisky has a spicier character than their most of Mackmyra's other expressions, with notes of sandalwood, dried ginger, black pepper, roasted oak barrel, and herbs. These spicy characteristics are complemented by fruity undertones with hints of vanilla and toffee from oak barrels, previously used to age bourbon. Enjoy Svensk Ek whisky as it is, with or without ice, on any occasion.